It's not magic or rocket science, it's a simple practice I am following. I call it The A/B test. In the ad B using the same content or AdCopy just change the title to "Buy Top 10 Sri Lankan Mango" or "Sri Lankan Top 10 Mangoes"
This is just a simple idea of my A/B test, as per the marketing study people are always into where title contain some attractive words like "top 10", "best practice", "top 20" & etc. Some times back I was reading an article published by a data analyzing company and they have tested with ebook title “The Productivity Handbook for Busy Marketers” and change it to “7 Apps That Will Change the Way You Do Marketing.” the revised version outperformed the original by 776% at generating leads. Not only that, but it resulted in more customers as well. I also tested & followed the same idea, mixed with my own way, I have tested this with existing content, offers, packages, search ads & display marketing ads and I have seen in all test on average 500% better CTR and good CPA than the original, but still it's business to business it's different. By changing the title to as mentioned in B your CTR may go up immediately but it might not be a good lead or not a lead at all. 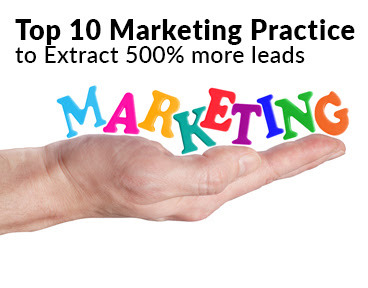 Sorry I had to name this as "Top 10 Marketing Practice to Extract 500% more leads" for a test.